This book tells of a number of children from the Bible [Moses (Exodus 2:1-10), Samuel (1 Samuel 1), Jesus (Luke 2:1-20) and the children He blessed (Mark 10:13-16)] and how they were special and relates them to how God thinks all children are specials, especially on their birthdays. 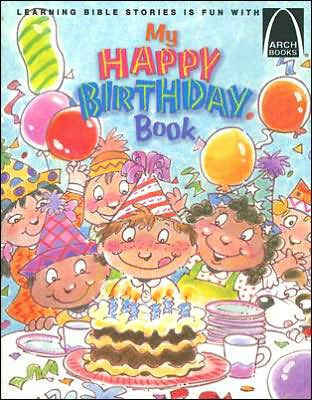 My Happy Birthday Book by Gloria A Truitt was published by Concordia in July 2005 and is our 14436th best seller. The ISBN for My Happy Birthday Book is 9780758604088. Be the first to review My Happy Birthday Book! Got a question? No problem! Just click here to ask us about My Happy Birthday Book.